Problems arose with the scoring tool used to decide which company should win a contract to administer the Children’s Health Insurance Program in rural parts of the state. 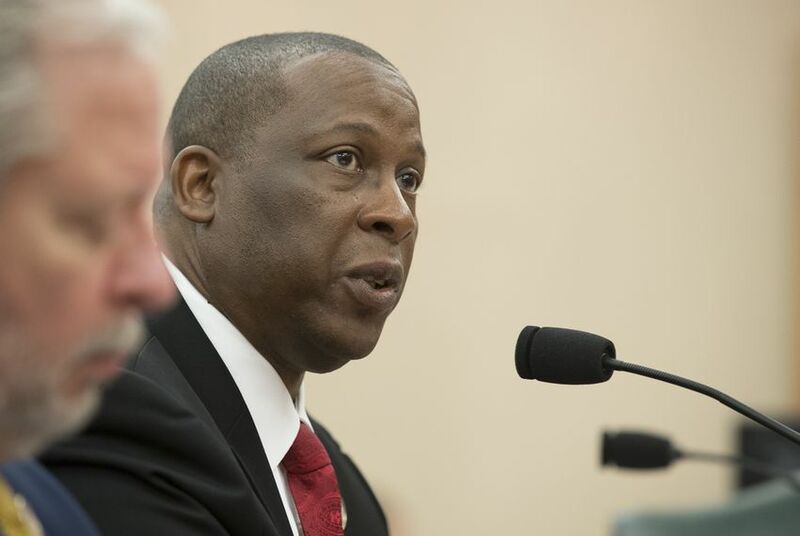 After a tongue-lashing from the governor, the Texas Health and Human Services Commission is back in hot water over how it awards contracts to private health care companies. A health commission spokeswoman said three employees had been fired after Republican Gov. Greg Abbott on Monday penned a sharply worded letter to Executive Commissioner Charles Smith bemoaning his “failure to ensure the integrity” of the state’s procurement process. At issue was an award granted to a health insurance company to administer the Children’s Health Insurance Program in rural parts of the state. Problems arose with the scoring tool used to decide which company should win the contract. At the health commission, insurance companies seeking to do government business must submit competitive applications, which are supposed to be scored by the agency and awarded based on which application received the most points. In this case, the procurement tool failed to tally points properly, which was discovered by competing health insurance companies when they reviewed their applications afterward. As a result, the state is canceling contracts awarded under the flawed system to Blue Cross Blue Shield of Texas, Driscoll Children's Health Plan, Texas Children's Health Plan, Molina Healthcare of Texas and Superior HealthPlan, according to the health commission. But spokeswoman Carrie Williams said children’s access to health care services would not be affected, as the contracts were scheduled to begin on Sept. 1. It's unclear whether the procurement error affected other health care contracts. “We’ll quickly implement any fixes and improvements identified through this process,” Williams said. “Mistakes like this are unacceptable, which is why I am requesting immediate action to examine and address errors in the existing procurement tool and system as well as the underlying process moving forward,” Abbott wrote. This is not the first time the health commission has sparked outrage over how it pays private companies to provide services to the young, elderly, low-income and disabled Texans served by public programs. This is especially personal for Abbott, who began his tenure as governor at the tail-end of another contracting scandal at the health commission. When then-Commissioner Kyle Janek stepped down amid criticism from state lawmakers over a $20 million no-bid contract, Abbott brought in a group of close allies to the agency with the stated goal of cleaning up the contracting process. Disclosure: Blue Cross Blue Shield of Texas has been a financial supporter of The Texas Tribune, a nonprofit, nonpartisan news organization that is funded in part by donations from members, foundations and corporate sponsors. Financial supporters play no role in the Tribune's journalism. Find a complete list of them here.